Lock in a great price for Enjoy Coquimbo - Hotel de la Bahía – rated 8.7 by recent guests! The breakfast was superb, the staff was very kind and were aware of our needs. The facilities were fantastic! I would recommend it by far to anyone that wants to have a relaxing stay. Very comfortable, spacious rooms with beautiful views. Excellent stay. The room is big and comfortable. The purpose of the trip was to rest and the staff did everything so we could achieve our purpose. Breakfast pastries are excellent of a european quality. The breakfast was very good. Fresh and alot of dishes. The room was in good size. Amazing sea view. Great size suite, not quite presidential thou! Three great restuarants on site. Excellent swimming pool indoor and outside. Including jacuzzis hot tubs and saunas. Staff were helpful but spoke little English, which for a hotel selling itself internationally isn't good. With my pigeon Spanish it led to some amusing moments. Room service menu is limited, and had three distinct operating times. Enjoy Coquimbo - Hotel de la Bahía This rating is a reflection of how the property compares to the industry standard when it comes to price, facilities and services available. It's based on a self-evaluation by the property. Use this rating to help choose your stay! One of our top picks in Coquimbo.Featuring spa and wellness facilities, this hotel offers modern rooms with a view and free WiFi. It is located in Coquimbo, in front of the ocean with great views and access to the beach. A complimentary buffet breakfast is served. 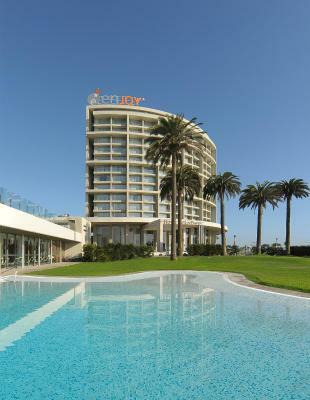 Rooms at Enjoy Casino & Resort Coquimbo are spacious and feature large windows, offering panoramic ocean or city views. 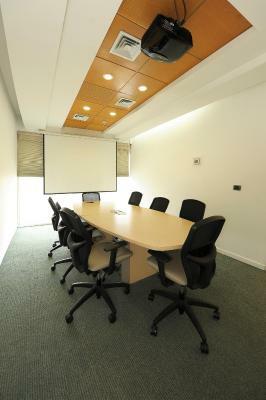 All rooms include LCD cable TV, a seating area and a work desk. Guests can choose between various wellness facilities. 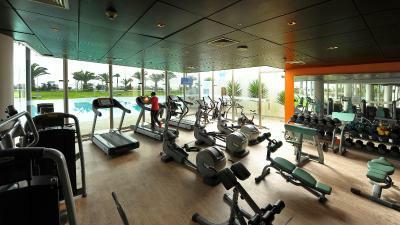 Casino & Resort Coquimbo features an indoor and outdoor swimming pool, sauna and steam bath and a gym. A variety of massage treatments are available for a fee. Lunch and dining options include 3 restaurants; La Barquera with Italian specialties, Santerra, which serves a varied buffet of local and international cuisine and Santa Brasa, offering excellent meat specialties. 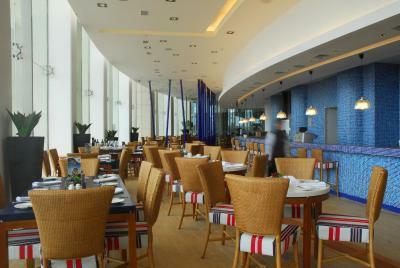 Additionally, guests enjoy full access to the property's casino which features 3 bars, 800 slots and 35 card game tables. Guests will also find the on-site Ovo Discotheque, open on the weekends. In the summer, guests can enjoy of Ovo Beach, the hotel's service center which offers drinks, snacks and services, located right on the beach. The hotel is located in the very limit between La Serena and Coquimbo, only 4.3 mi from the city center of La Serena. La Florida Airport is justa 20-minute drive away. Free private parking is available on-site. When would you like to stay at Enjoy Coquimbo - Hotel de la Bahía? This room includes breakfast at La Barquera Restaurant and access to the spa, heated pool, sauna, and hydromassage tub. This spacious suite includes breakfast at La Barquera Restaurant and access to the spa, heated pool, sauna, and hydromassage tub. With a fantastic ocean view, the Hotel de la Bahía offers high-level comfort and services for our guests to live an unforgettable experience, just as it's supposed to be, as we are the only 5 star hotel in the area. Our spacious rooms are set-out modernly and are equipped with excellent technology. In addition, during your stay you will be able to enjoy of great gastronomy and our SPA, equipped with large pools, a sauna and a gym. House Rules Enjoy Coquimbo - Hotel de la Bahía takes special requests – add in the next step! Free! One child under 8 years stays free of charge when using existing beds. One older child or adult is charged USD 72 per person per night in an extra bed. Enjoy Coquimbo - Hotel de la Bahía accepts these cards and reserves the right to temporarily hold an amount prior to arrival. All reservations must be guaranteed with a valid Credit Card: Visa, Master Card, Diners Club or American Express. As a guarantee of the reservation, the hotel could apply a withholding -not a charge- 10 days prior to the check-in corresponding to the first night of stay plus tax. Foreigners not resident in Chili are exempt from taxes. This retention will only be effective in case the person does not show up or cancels his / her stay outside the established period. The retention is released once the passenger arrives at the hotel. The reception desk clerk could have been more informative about the facilities and areas that one could enjoy during one´s stay. He really didn´t say much, he just took down our reservation and that was that. It would be nice if he were more communicative and used a less stern voice when speaking. It gives the wrong impression of a not so friendly welcoming to the hotel. That would be the only thing I would suggest that Enjoy take care of. A little damage control on the unfriendly check-in clerk. My photo shows the status of towels. As them, some doors didn’t work, dirt in the floor far from what I expect for the value paid. It is not up to the rate charged. Sea view is good to have. Definitely far from even a basic 5* Hôtel... with a lot of indulgence could be a 4*. No assistance with the baggage, unfriendly staff, poor and badly illuminated bathroom, old and dirty carpets, less than average breakfast: I ordered a latte, extra cost... eggs, extra cost, etc. A disappointment. They are falling in small details, where they could have reached excellent rates, e.g. compared to other hotels of their category they clearly are missing the extra control steps to ensure everything is perfect for the customer like the room when it gets handed over, they are friendly, but to us it looked like their management is missing the necessary professionalism and strive to improve and maintain the level.